This year it is the 20th anniversary of World Book Day! It is the biggest celebration of its kind, designated by UNESCO as a worldwide celebration of books and reading, and marked in over 100 countries all over the world. 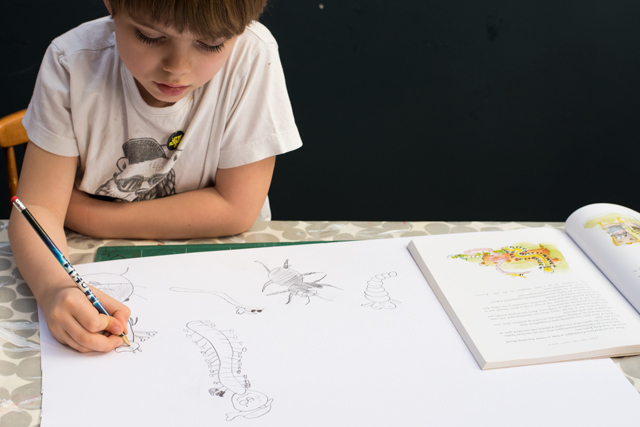 Over 15 million children will be given tokens for brand new books to enjoy. So it’s great to get involved, but the last thing anyone wants to do is spend loads of money or get into a fight with a bowl of papier mache. 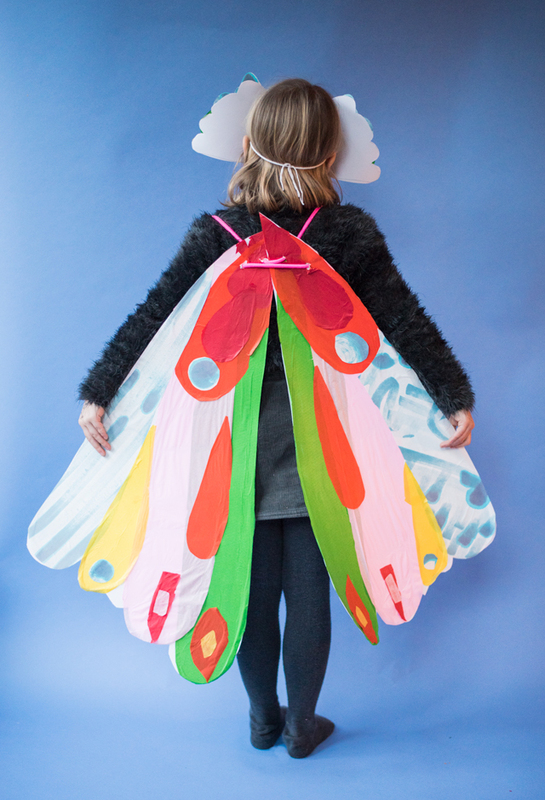 Here are some ideas for simple costumes that cost less than £5 using paper and cardboard. NO SEWING! Yay! You don’t need to be a craft nerd to make these happen, they are easy to make and won’t take a long time. My little helpers loved making theirs. 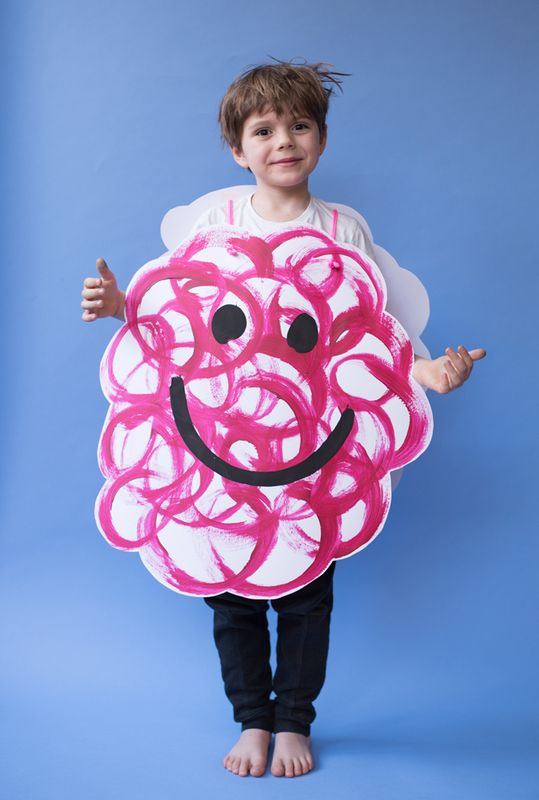 Of course there is a whole world of Mr Men and Little Miss’ to explore with this idea, but Mr Messy is a great one because even if you aren’t neat, it’s still on brand! 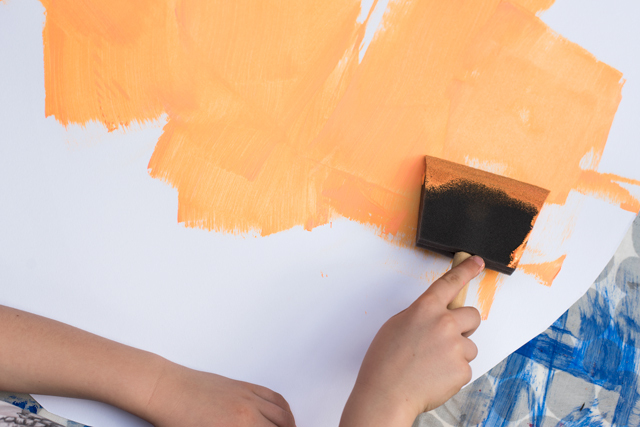 Paint great big messy swirls on each of the sheets of cardboard, then add his face. I didn’t bother with his hands or feet, just his body to keep it simple. Stick some tape to the back where you’re going to poke the holes for the rope. This will stop it from tearing. Poke holes with scissors (grown up job!) through the taped area for the rope. Thread the rope through and tie knots in the end at the right length. It’s best to do this while it’s on the child so you get the length right and it’s even on both sides. Here’s a close up so you can see how I did it. Frida absolutely loved making this. 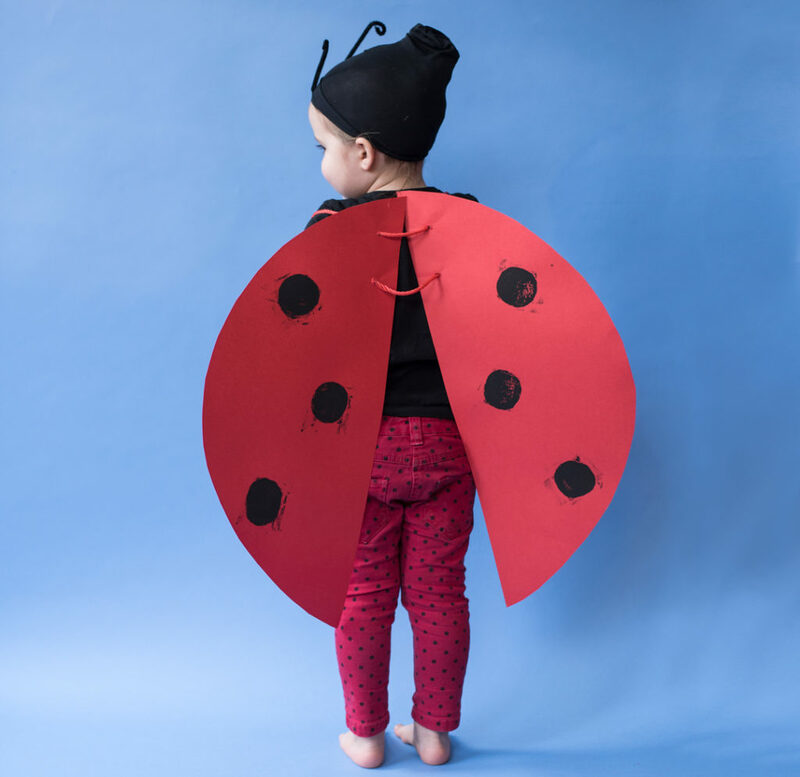 You can team it with a black top and leggings, but we happened to have ladybird spotted jeans. 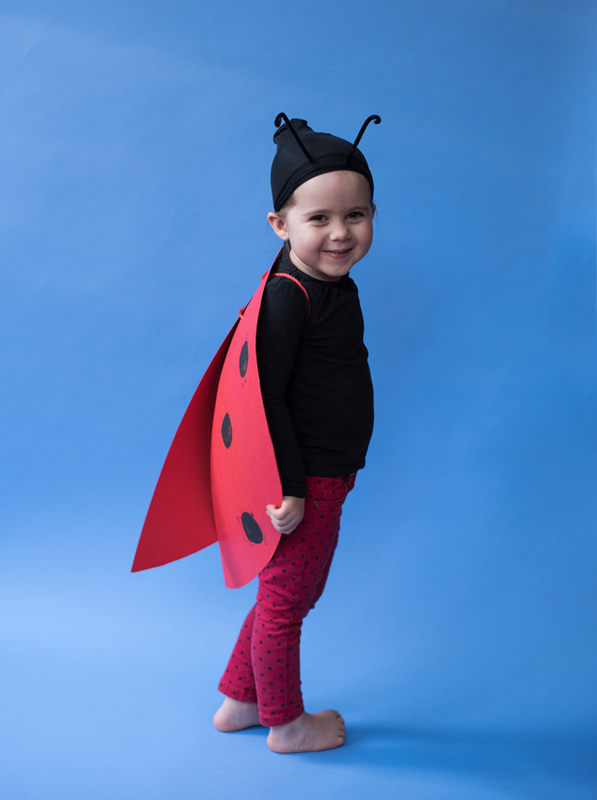 It’s a really great costume because the ladybird in the book is a very quiet character – which meant I had a break from hearing her sing Katy Perry’s Roar at the top of her voice for approximately 10 minutes. 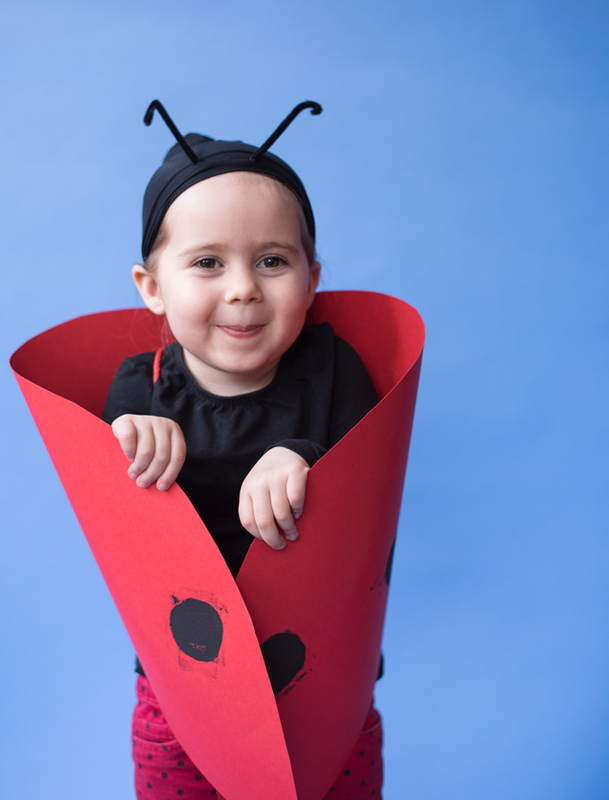 Cut your red card into two ladybird wing shapes. 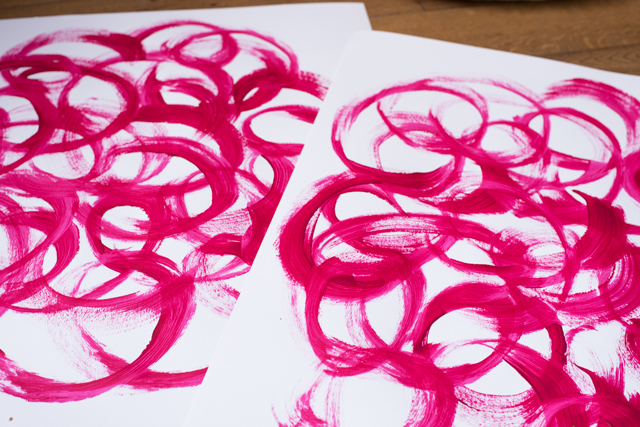 Start by drawing and cutting one, then use it as a template to trace around for the second one, then you’ll have two exactly the same. 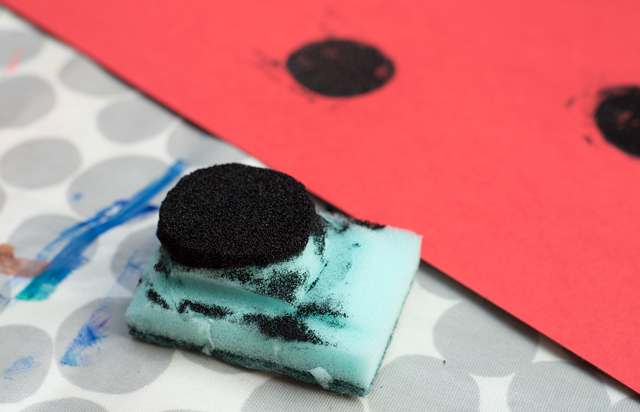 Cut a sponge into a circle or slice a potato in half (for potato printing tips, see this one we did a while ago). 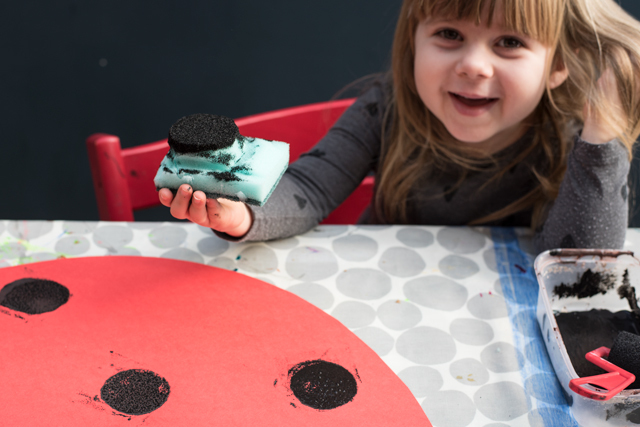 Print the spots on using the sponge or potato. Three spots per wing. Poke holes with scissors (grown up job!) through the taped area for the rope. You’ll need two holes on each wing, one above the other. Thread the rope through like I have in the image above to form two arm loops. It’s best to tie it off while it’s on the child so you get the length right. You can tuck the knot in so it ends up behind the armpit and you don’t really see it. 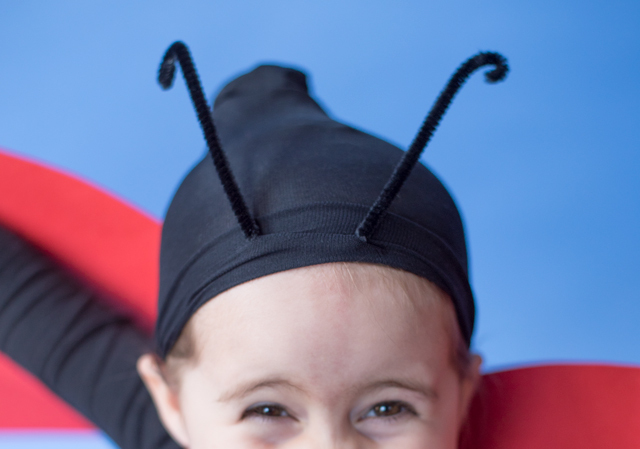 Cut tube of fabric off a pair of tights and tie the end in a knot to form a beanie shape. Turn it inside out so you don’t see the knot. Cut two small holes near the end edge and thread the pipe cleaner in one hole and out the other so the ends stick out the top. Shhh! Don’t say a word! This one is the most complex of the lot and it takes a little bit longer, but it looks great if you have the patience for it and the cat is such an iconic character. 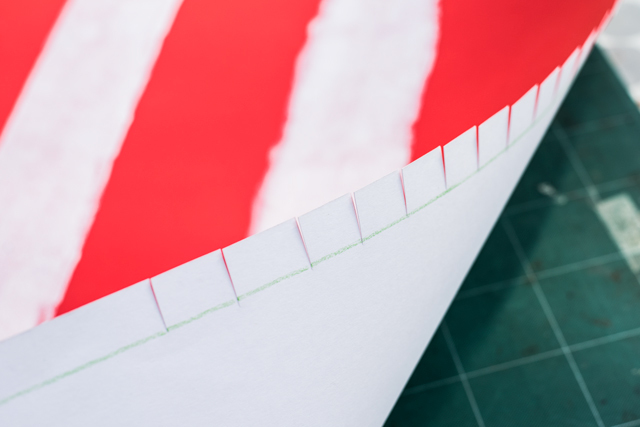 Paint the stripes on the sheet of red card parallel to the longest edge of the sheet of cardboard. 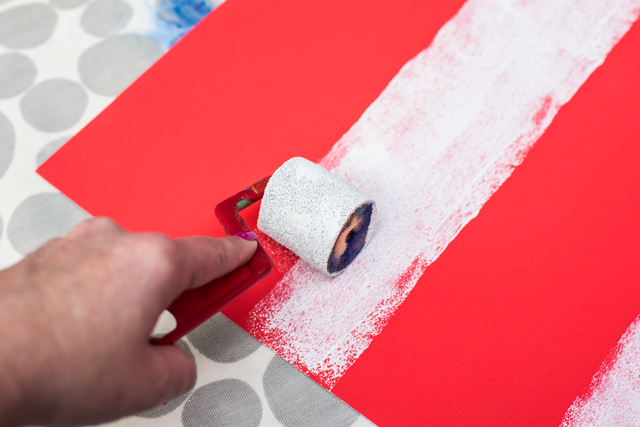 I used a roller because it makes it easier to paint thick straight lines. 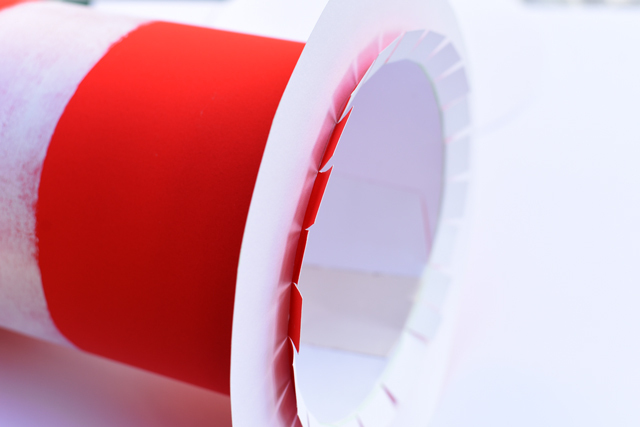 Rule a line along each long edge of the red cardboard, about 15mm from the edge withe pencil. Cut up to this line at small intervals all the way along the edge. Like this below. 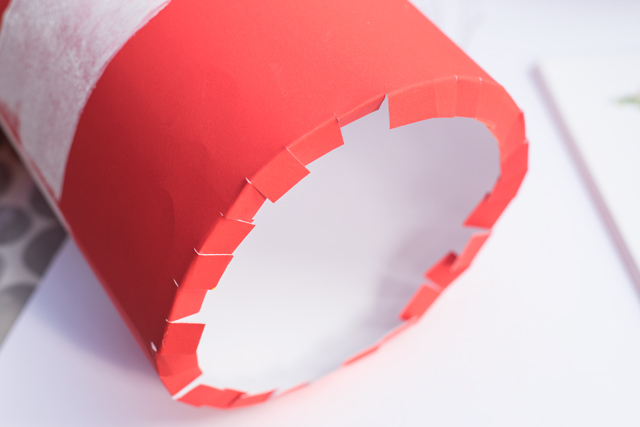 These will fold out to form tabs which will attach the red tube part of the hat to the brim. Do the same at the other side. These ones will fold inwards to attach the red tube part of the hat to the top. 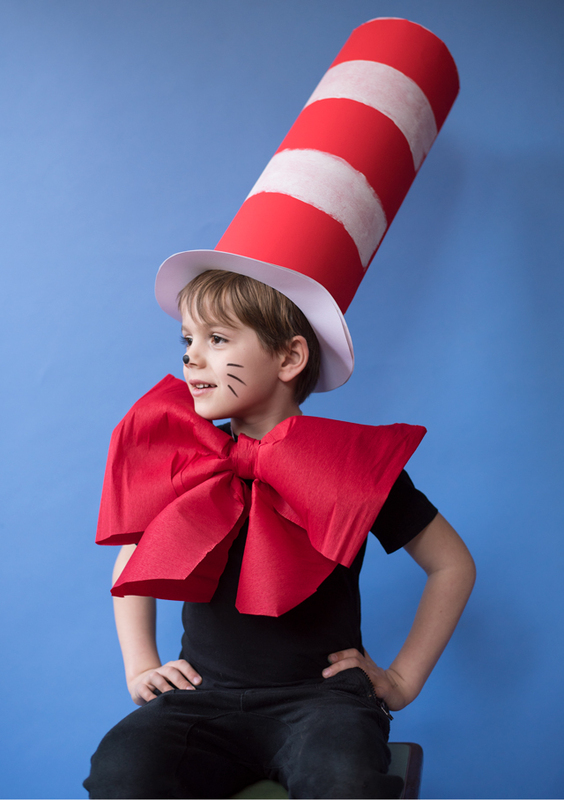 Roll it up (measuring the size of your little cat’s head) and stick the edges together with double sided tape to form the tube. Fold out the little tabs. Trace around a dinner plate to make the shape for the brim. Cut out two of these circles out of the white cardboard. 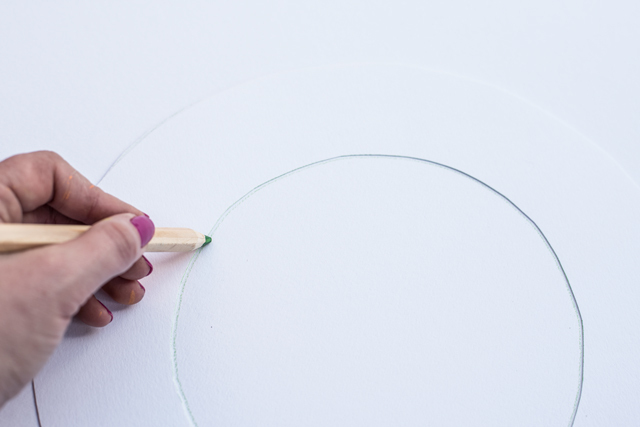 Now place the tube on top of one of the circles and trace the size of the inner circle, using the tube as a template. Cut the circle out of the middle. 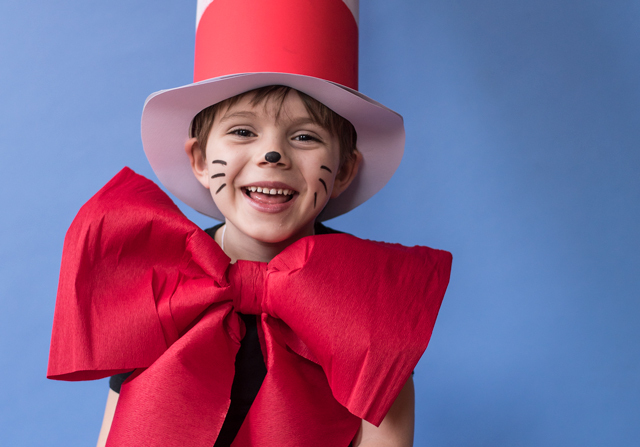 Don’t cut it too large to start with, cut it smaller than you think you’ll need it then test it out on your little cat’s head and sliding it onto the tube. You might need to go back and forth a bit to get the size of the inner circle just right so that it fits perfectly on the tube. 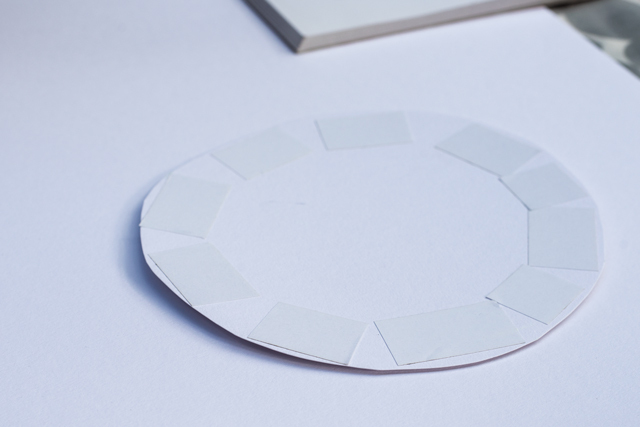 Trace the inner hole on the other circle piece, and cut that one out to form a ring too, if you do it very neatly, you can use this smaller circle from the middle as the piece for the top. 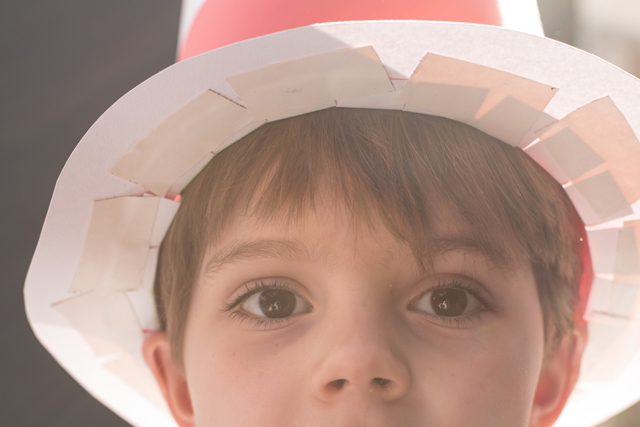 Tape the tabs to the rim of the hat with gaffer tape. The result will look a bit messy (see below), but that’s why you have the extra ring to stick over it to cover the tape. Stick double sided tape on top of the gaffer taped part. This will hold the second ring on to finish the brim. stick on the second ring to hide all the tape. 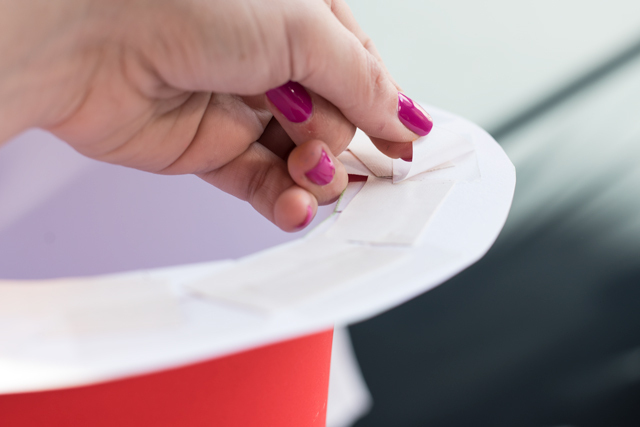 Now fold the tabs on the top end inwards so they can hold the top circle. 14. 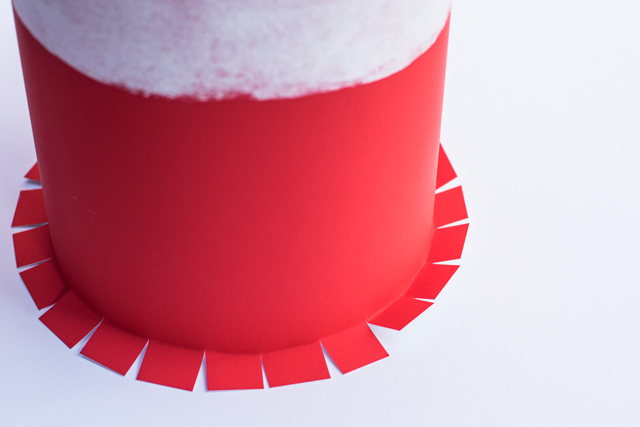 Stick double sided tape around the edge of the top circle, then attach it to the top. 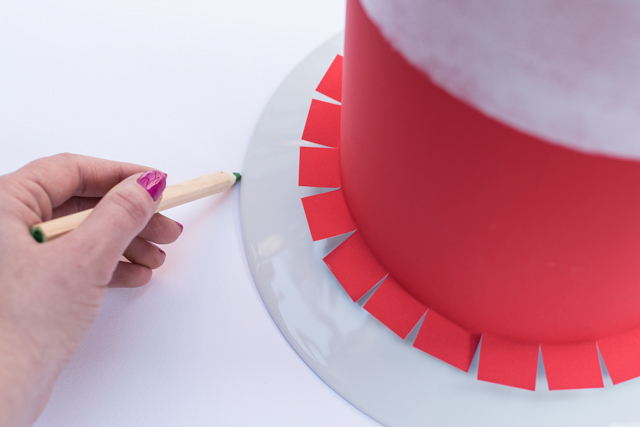 You’ll have to stick your arm right inside the hat and press on the tabs from inside to secure it. 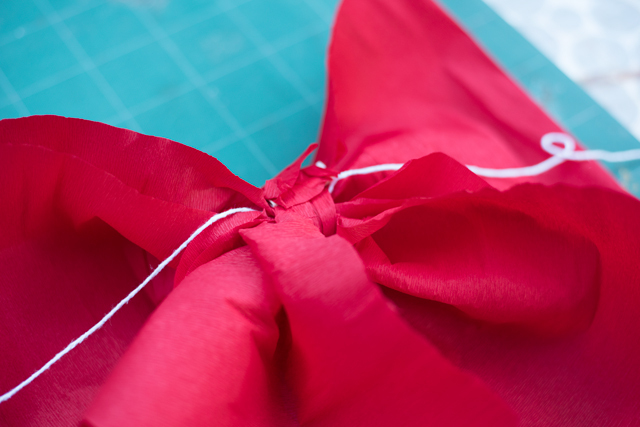 Fold the other into a bowtie shape by bringing the ends into the centre, to make a flat loop, then fasten the ends with tape in the centre. 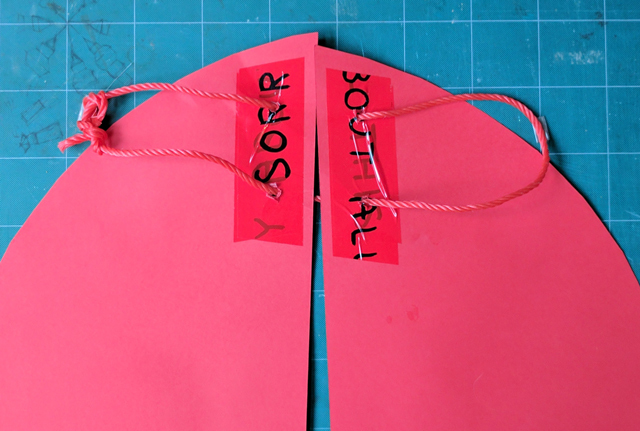 Add the long dangly bit by bunching both pieces together in the centre, then wrap the small piece around both pieces and fasten with tape at the back to hold it all together. Thread string through the smaller centre piece, then tie the string around the neck. Draw on whiskers and a little black nose. This is a little more time consuming than the others but kids over the age of six could do it on their own with a little supervision which is an afternoon of ‘educational, creative fun time’ sorted. 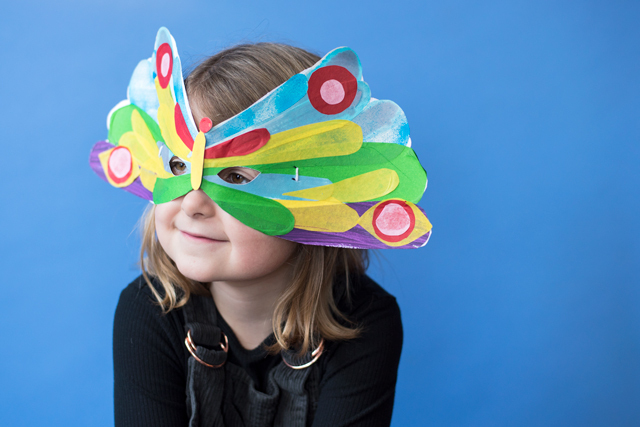 Butterfly wings are always fun to flap about in and everyone remembers how spectacular The Very Hungry Caterpillar is when he emerges from his cocoon. One small piece of white card for the mask (roughly A4), two large sheets for the wings. 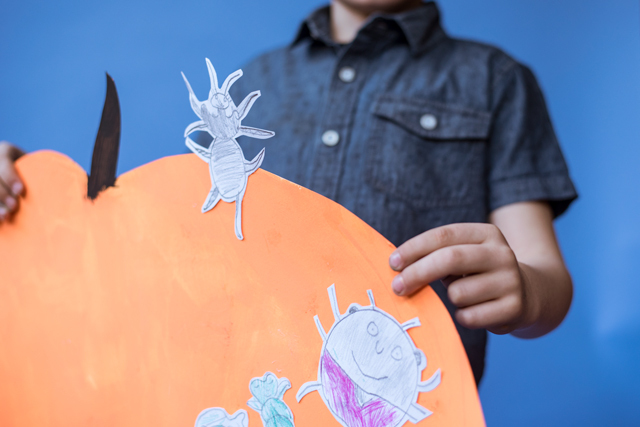 Tissue paper, coloured paper scraps, or painted paper to make the collage. 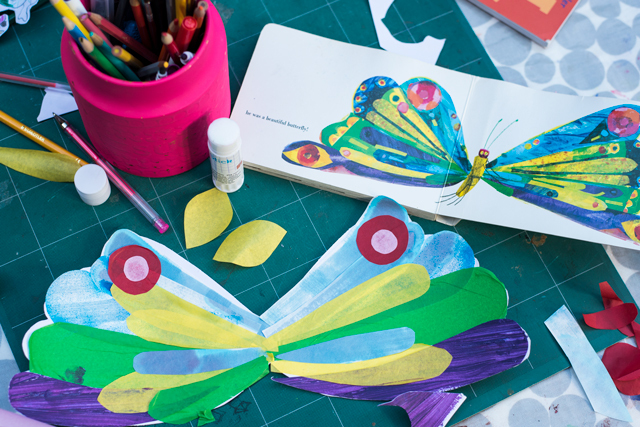 Fold the small piece of card in half and draw a butterfly wing shape. Cut around it while it’s folded to it opens out into a symmetrical butterfly shape. 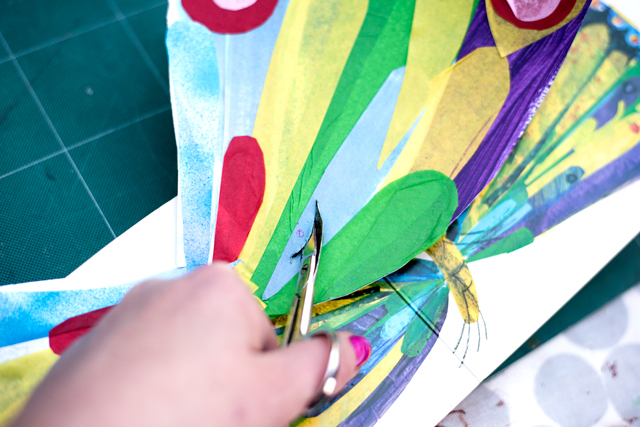 Cut lots of pieces of coloured paper and stick them on just like Eric Carle’s collage in the book. 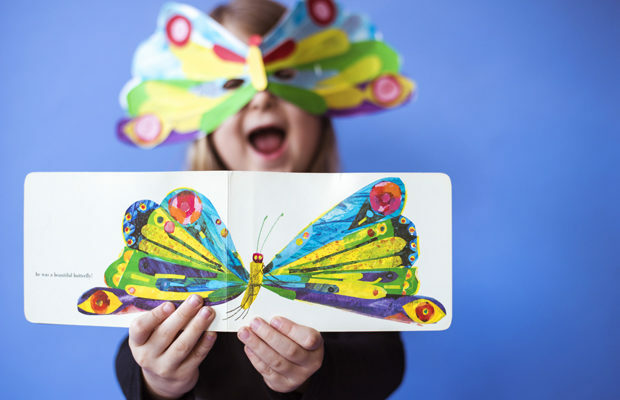 Hold it up to your little butterfly’s face and measure where their eyes are. Cut the eye holes. I find it’s easier to use nail scissors for this bit. Thread the string through and put it on! 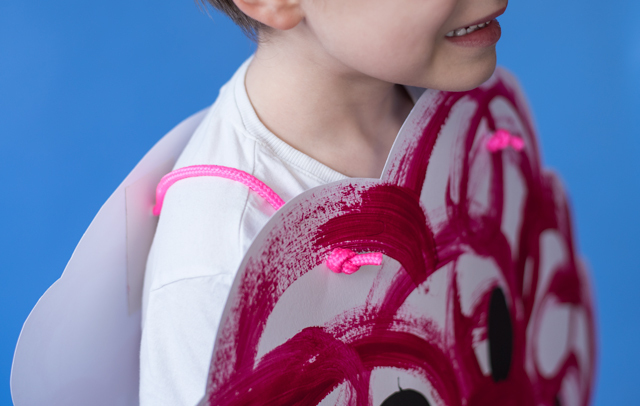 Follow the instructions for the ladybird wings above, but add some collage like on the mask. This is probably the easiest one. 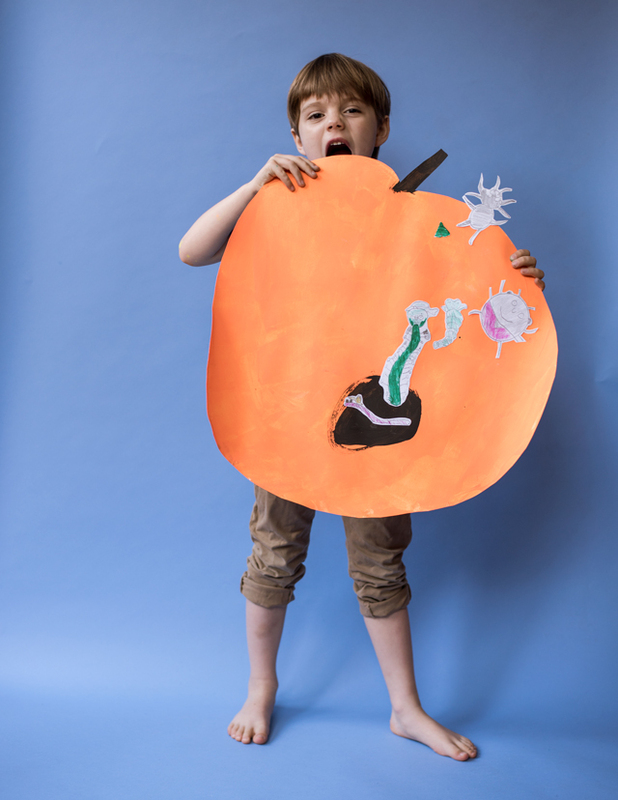 Elliot made it all by himself, with only a little bit of help cutting out the peach. The easy part about this is that James is a regular kid in regular kid clothes. If you go by the book, we wears a blue buttoned up shirt and some khaki shorts. Easy! Draw a peach shape on the piece of cardboard. The bigger the better! Cut them out and add them to the peach. We made it look like they were climbing out of a hole in the peach. 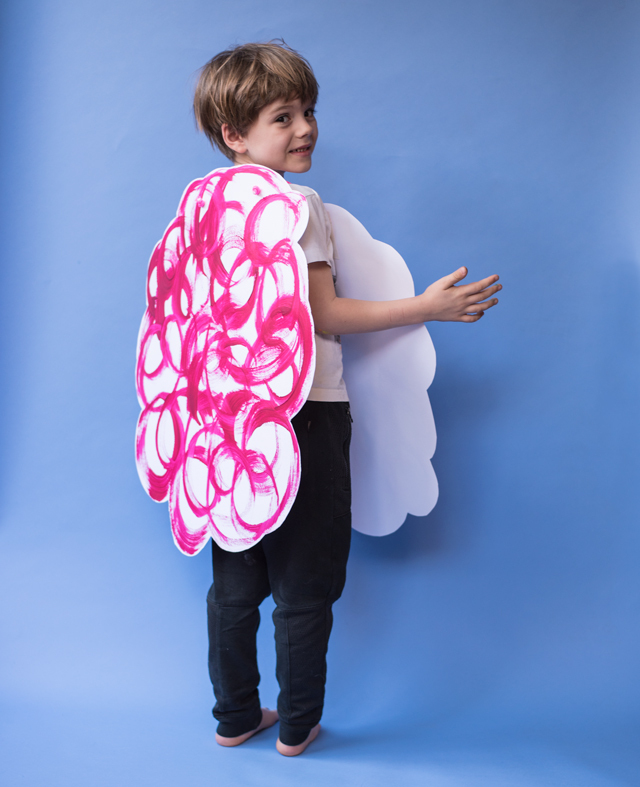 HUGE thanks to my crafty little models: Elliot, Eve and Frida.